Hour #1 Guests: Jim Supica – is the Director of the multiple NRA Museums. On television, Jim has co-hosted six seasons of NRA Gun Gurus and NRA Guns & Gold. 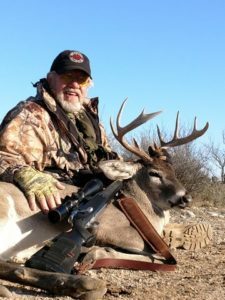 He has also co-authored seven books and written numerous articles on firearms history and gun collecting, including regular columns for American Rifleman and Shotgun News. He is here to talk about the history of firearms and the importance of preserving that history in museums. GunFreedomRadio EP122 Hr.1 What Do You Know About That? Jim Supica is the Director of NRA Museums, which include the NRA National Firearms Museum in Fairfax, Virginia, and the NRA National Sporting Arms Museum in Springfield, Missouri, along with the Frank Brownell Museum of the Southwest at the NRA Whittington Center in Raton, NM. Jim also oversees NRA Museums media, including the NRAmuseums.com website. 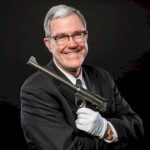 Jim has co-authored seven books and written numerous articles on firearms history and gun collecting, including regular columns for American Rifleman and Shotgun News. On television, he has co-hosted six seasons of NRA Gun Gurus and NRA Guns & Gold, and regularly appears on other national firearms-related shows. Previously Jim was an antique arms dealer and auctioneer, and is a former member of the NRA Board of Directors. He holds Juris Doctorate and Bachelor’s degrees from the University of Kansas. GunFreedomRadio EP122 Hr.2 What Do You Know About That? Don McDowell is the host of the Shake, Rattle, and Troll Radio Show for 17 years and running. This award winning show received the 2104 AZGFD Commission Media of the Year Award. 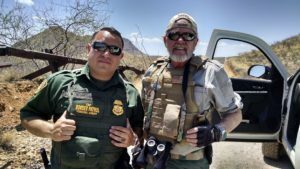 Don has also served as the 2017 Federal Advocate-Conservation Director for AZBN & TBFAZ. Don McDowell, Arizona native, is an avid outdoorsman and has been an active bass pro fisherman for over 16 years and in the past 15 years has developed his own radio show promoting bass fishing and conservation efforts for bass fishing that escalated to nominations with several bass groups and organizations. 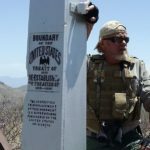 In the past 12 years, Don has pursued his conservation agenda through AZBFN-TBF as Conservation Director and with the Arizona Game and Fish Department, in the spring of 2014 redesigned his website to include those efforts highlighted below and has increased the AZGFD exposure, public education of the AZGFD and Commission issues on his radio show and website soliciting local and national support for Arizona. 2014 has seen the founding of SRT Outdoors, Inc., 501 C3 organization, “Not for Profit, for Conservation” which is concentrating on grants for mitigating the effects of Gizzard Shad on Roosevelt lake thorough habitat enhancement, Florida Strain Bass stocking, lakes bottom mapping, etc. and feral hog research. In addition SRTO is retrofitting a 42’ Grand Banks Trawler, twin diesel powered, to accommodate wheel chair bound veteran on the saltwater to learn and enjoy the saltwater fishing experience. The vessel “Challenged America” has handicap ramps, head, full galley and USCG certified crew and expert deck hands to mentor and care for the veterans. The “Challenged” America” is certified as a USCG Certified Facility to assist in USCG AUX patrols in San Diego Sector during down times, off season or on an as needed basis. Conservation Director – AZ BASS Nation- (AZBN) B.A.S.S. Don’s appearances include the American Fishing Television Show, Good Morning Arizona and Fishing with Johnny Johnson . He further has conducted and participated in bass fishing seminars for Wal-Mart , K-Mart and various sporting goods stores in the Southwestern Region. Don’s passion has to be kids and fishing. He has worked to promote and participate in Valley Big Brother and Sister Annual Fish-A-Ree , Make A Wish Foundation , C.A.S.T and Pathway to Fishing and Cast for Kids . These programs have been developed for children including the physically and mentally challenged. Hook & Bullet CertifiedDon’s goal is to expose his sponsors products and services to a serious marketplace while promoting good sportsmanship. His passion for the outdoors coupled with his extensive professional sales and marketing experience has made him a natural for the highly competitive world of bass fishing and performance bass boats. Coast Guard MembershipThe U.S. Coast Guard Auxiliary is the uniformed, all-volunteer component of the United States Coast Guard. The Auxiliary was created by an Act of Congress in 1939, and has grown to over 32,000 members who daily support the Coast Guard in all its non-military, and non-law-enforcement missions. We have members and units in all 50 states, Puerto Rico, the Virgin Islands, American Samoa, and Guam. Booking agent for Blue Mule Outfitters, Huites Bass Club and Adventures South of the Border. Rachel Malone is Texas Director of Gun Owners of America. She passionately promotes the right to keep and bear arms in legislation, training, and public perception. A nationally-certified firearms instructor, Rachel participates regularly in Run n Gun biathlons and teaches defensive handgun and rifle. You can hear some of her strong opinions on the Polite Society Podcast. 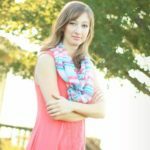 Rachel has served as the Operations Director of the Republican Party of Texas and was previously a professional classical musician. She remains dedicated to training others to safeguard liberty and justice for all. Rob Morse is the host of the Self-Defense Gun Stories Podcast and co-host of the Polite Society Podcast. He blogs at his Slowfacts blog and his articles appear at Ammoland, at Clash Daily. Rob Morse works and writes in Southwest Louisiana. Jim Supica – is the Director of the multiple NRA Museums. On television, Jim has co-hosted six seasons of NRA Gun Gurus and NRA Guns & Gold. He has also co-authored seven books and written numerous articles on firearms history and gun collecting, including regular columns for American Rifleman and Shotgun News. He is here to talk about the history of firearms and the importance of preserving that history in museums. Rachel Malone – Founder at Texas Firearms Freedom, former Director of Operations at Republican Party of Texas, current Texas Director of Gun Owners of America. 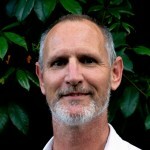 Rob Morse – Host of the Self-Defense Gun Stories Podcast and co-host of the Polite Society Podcast. He blogs at his Slowfacts blog and his articles appear at Ammoland, at Clash Daily. Rob just completed training at FASTER Saves Lives and is here to tell us about the program from a first-hand perspective. Don McDowell – the host of the Shake, Rattle, and Troll Radio Show for 17 years and running. 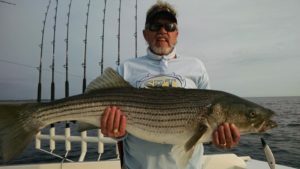 He is a Professional Bass Angler, Saltwater Charter Master, Member of the United States Coast Guard, and Hunting Enthusiast. Share the post "GunFreedomRadio EP122 What Do You Know About That? , Originally Aired on 8.11.18"